Is to use professional principles as a guide to produce confident, well-trained cosmetologists, who will be prepared with the necessary education to enter any phase of the industry. We believe that every person has the ability to achieve any realistic goal they are willing to seek out and conquer. We offer two programs: Cosmetology and Nail Technology. We were founded in 1980, by Ann Smith in Storm Lake, IA. She brought a wealth of information and experience to the new students and staff. Faust Institute was then opened in 1990, in Spirit Lake. 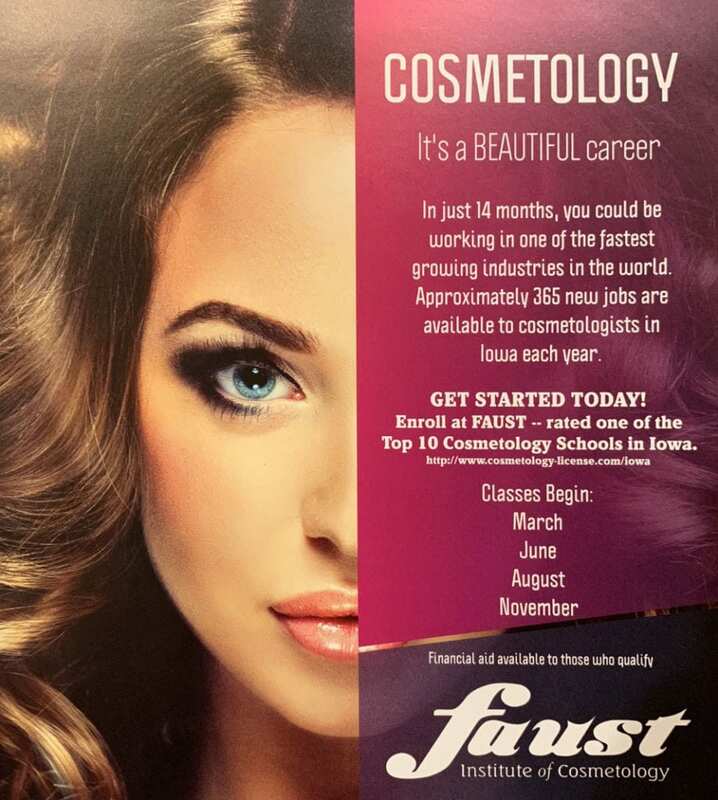 Both schools continue to thrive while educating hundreds of students to enter a professional career in the beauty industry. Trying to find the right cosmetology school is hard; there is so many choices. I toured schools in bigger cities and also smaller programs through community colleges. The bigger schools made me question if I would get the crucial one on one with the instructors, and the programs through the community colleges often felt as if they weren’t the schools main priority. And then I came across Faust in Spirit Lake. I toured the school and instantly felt it was the perfect choice. The students were getting one on one help and they all had clients! The enrolling process was a breeze, and they were always ready to help with any questions. The school provides you with a very well kept environment, AWESOME instructors, and an amazing clientele. Being from Minnesota I knew I wanted to invest in my future career and complete Iowa’s 2100 hours. I personally feel the difference of the 550 hours makes the world of difference. I am so happy I chose Faust, I left with an amazing education and a very memorable experience! I graduated along with my twin sister and older sister from the Storm Lake campus. Faust Institute opened so much for me and my family. I firmly believe that Faust Institute gave me my foundation in cutting skills and was small enough to focus on stylists as individuals. They help each person with reaching their personal goals versus bigger institutions with too many students…Success is only a dream away! What I liked most about Faust is How no matter what we were learning everyone is there to help you out. Always encouraging you to go outside your box, also to never give up. The enrollment at Faust Institute was so simple. Marge is great help and will answer any questions or concerns that you may have. 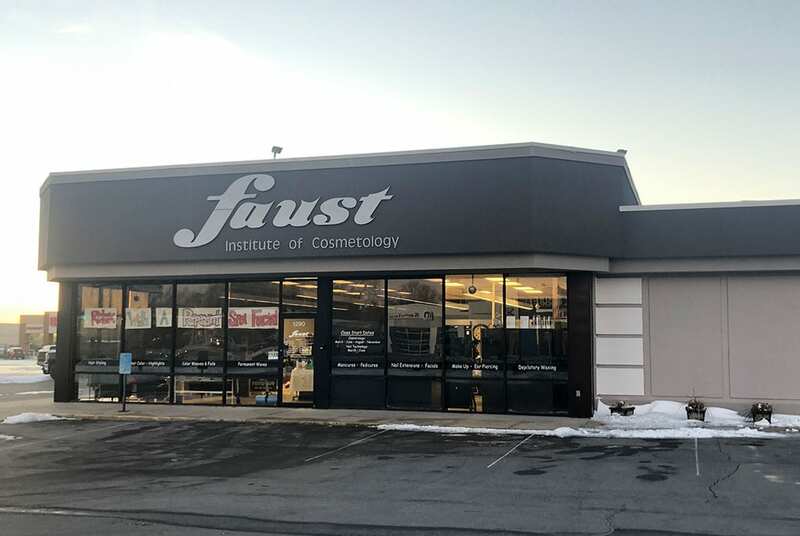 What attracted me to Faust was that it’s smaller class sizes and I love that because I knew that if I need extra help I would get more of the one on one from each instructor. My life now is wonderful! I had a big goal set for myself, and I can proudly say I’ve been salon owner for 4 years. Being a salon owner is really dream come true. I’m truly blessed. Im working on few new goals and can’t wait to see what’s next.